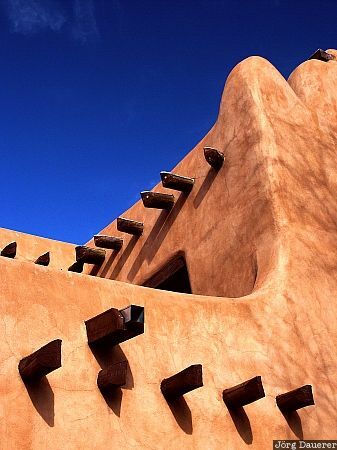 Typical adobe architecture below a deep blue sky in downtown Santa Fe. Santa Fe is in northern New Mexico in the south west of the United States. This photo was taken in the morning of a sunny day in February 2004. This photo was taken with a digital camera.